Super Bowl Sunday means finger food and a messy kitchen right? Wrong. This Sunday you can make a delicious- and filling- full meal. Plus, it won’t keep you in the kitchen all day away from the company. Of course, this doesn’t mean you can’t always make some messy finger food to go with it! 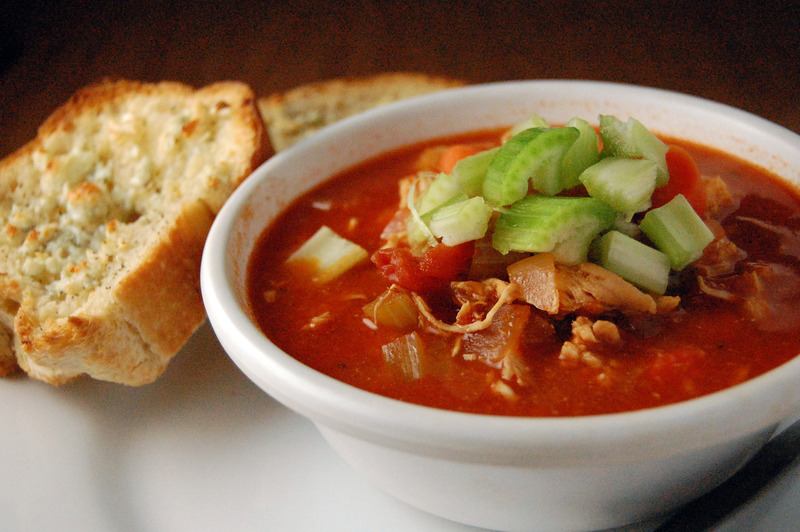 This chili, adapted from my mom at Cooking With Michele, has the buffalo wing flavor, combined with healthy ingredients like carrots and celery. Adding blue cheese to the chili and the garlic bread completes the dish and gives you an authentic buffalo wing feel without the mess- or the fat! 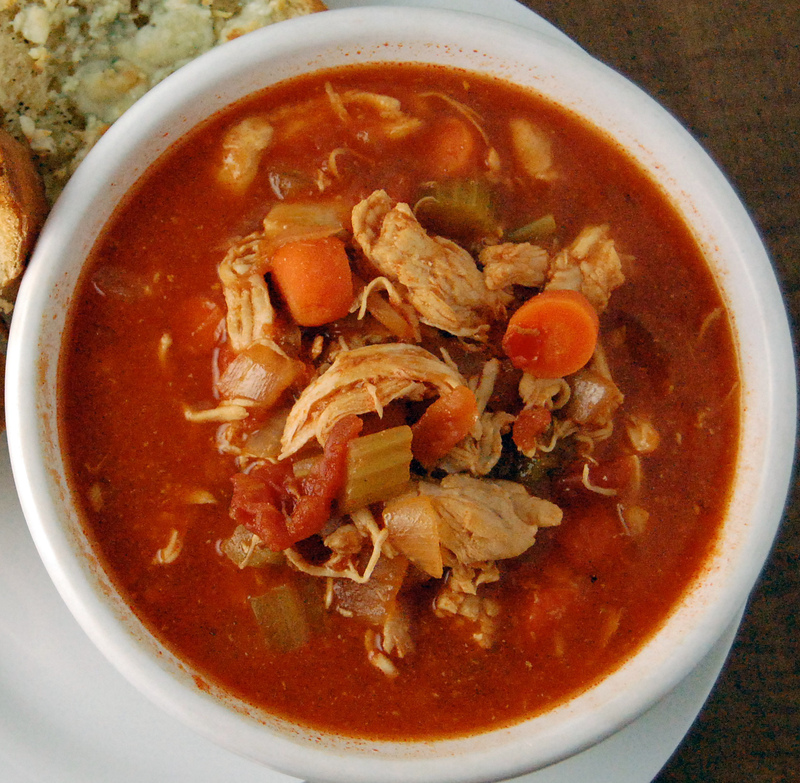 Place chicken breasts, 1 can of chicken stock and 2 cups water in a crock pot. Cook on high until chicken is cooked through (about 1-1.5 hours). Drain cooking liquid and shred the chicken. Add the chicken and ½ cup of buffalo sauce to a large saucepan and brown over high heat (about 5 minutes). Place the chicken back into the crock pot, making sure to scrape off any brown bits that remain on the pan. 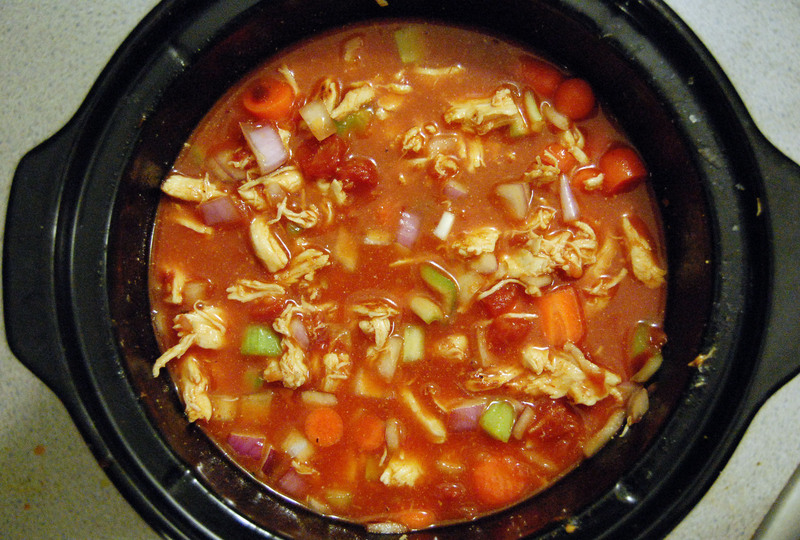 Add the remaining chicken stock, ½ cup buffalo sauce, celery, onion, carrots, garlic, tomatoes and paste. Stir until well mixed, then season to taste with salt and pepper. Cook on high for 3-4 hours. Once the chili is ready, preheat the oven to 425F for the bread. Slice the bread into ¾" slices, coat with melted butter, then sprinkle with garlic, garlic powder, black pepper and blue cheese. Bake at 425F until cheese is melted and begins to brown (about 10 minutes). Serve with a bowl of the chili.